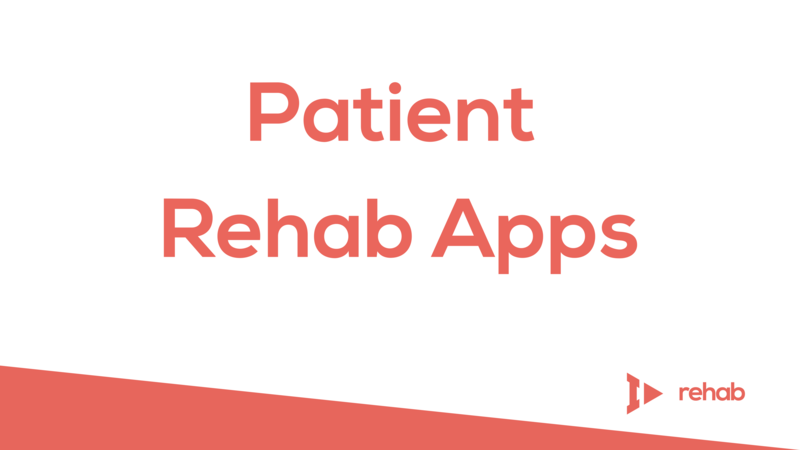 Home Rehab 14 Patient Rehabilitation Apps For PT, OT, and Beyond! With so many new advances in healthcare, both high and low-tech, it can be difficult to know what is best for your life. After an injury or surgery, a person’s stress levels are often at an all-time high. This makes it increasingly more difficult to remember things, make decisions, and remain educated. Apps, in particular, are growing in numbers, due in part to their convenience, portability, and ease of use. In this article, I’ll outline some of the best rehabilitation apps for consumer and patient use. Some of these are recommended for use with a therapist, while some are good tools to use daily to maintain skills and strength. The recommended uses are listed in the summary for each app. PT Pal Pro can easily be used by clinicians and patients to assist in the therapy plan of care. Clinicians can assist in the customization of the app, making it tailored to the individual’s diagnoses and personal needs. Patients can easily have their home exercises and other recommendations with them at all times — including text, images, and videos. This app is helpful in tracking, viewing, and completion of these exercises. This can assist therapists from all disciplines in recording the compliance of their patients. For more information, visit ptpal.com or download the app on iTunes or Google Play. PT Helper is recommended for home use by clinicians and covers a range of exercises for all types of diagnoses. This can help if you are dealing with strength and movement issues after a neurological diagnosis (i.e. stroke or brain injury) or orthopedic diagnosis (i.e. fracture, muscle sprain, or joint injury). Other reasons to use this app are a general decline in an elderly population, general fitness in an active population, pelvic floor symptoms, or developmental delays in children. This app also gives exercises for use in aquatic settings. One of the core goals of PT Helper is to ensure home exercises continue to be completed by patients long after they end therapy. Continued practice assists with preventing another bout of symptoms in the future, thus decreasing the need for more therapy. Prevention is a very important factor for maintaining strength and wellness, so this app is helping people stay on the right track! For more information, visit pt-helper.com or download the app on iTunes or Google Play. 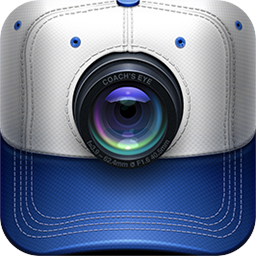 Used for athletes of all kinds, Coach’s Eye uses video monitoring to analyze movement patterns and postural habits. Gait and movement analysis is an important tenet of physical therapy. This app assists therapists in correcting habits and movement patterns in order to prevent injury from occurring or stop symptoms from getting worse. While simulations can be staged in therapy clinics for analysis by therapists, it remains difficult for therapists to see how their athletes perform in real-time. This app was developed for use by coaches to assist them in providing feedback. Athletes can take this video feedback with them to therapists specializing in athletic training and sports injuries to assist in therapy sessions. This is a helpful way to bring the field to the clinic for more well-rounded therapy. For more information, visit coachseye.com or download the app on iTunes or Google Play. Pain Therapy provides exercises for all muscle groups and is to be used by those who want a consistent way to manage their pain independently. This includes general aches and pains, pain related to sports injuries, or pain related to a specific health condition. This app now includes basic exercises and stretches for each muscle group, along with pre-activity stretches, post-surgical stretches, exercises safe for pregnant women, exercises and stretches for those with frequent headaches, sciatic nerve dysfunction, and more. Each exercise or stretch is accompanied by an interactive video along with text to assist those with any style of learning. This app can only be found on iTunes. Helpful for those with pain related to specific conditions, including fibromyalgia, depression, arthritis, headaches, and more, My Pain Diary allows you to track your pain and other symptoms for later reporting to your doctor. This app comes with a calendar to report dates and times, along with activities completed when the pain was experienced. With their interactive body map, you can select the area which the pain was, along with pain frequency, triggers, headaches, fatigue and stress levels, and more. Medication logs also allow you to add how frequently you were medically managing the pain, along with dosages and effect. For more information, visit mypaindiary.com or download the app on iTunes or Google Play. With many of the same features as My Pain Diary, the Pain Diary & Forum app has a message board incorporated to interact with other app users. This allows for support, exchange of ideas, and personal reflection on your pain journey. There is an interactive body map with this app also, but it is much more detailed, allowing for coloring to increase the specificity of the painful areas selected. The map also gives the option of adding different colors to indicate different pain levels for increased accuracy when reporting symptoms to your doctor or therapist. The diary portion can be easily exported and shared among friends, family, or other members of your healthcare team. There are also many new features being added, namely research articles and to assist in managing your pain. This app can only be found on Google Play. Giving a 3D experience of the anatomical structure of the human body, Pocket Anatomy allows for education on every organ system, including skin, skeletal tissue, muscles, circulation, lymph, and more. This can easily be used by students in health science majors, new therapists who need to brush up on some anatomy knowledge, clinicians looking to educate patients on their condition, any individual looking to learn more about the body, or patients who are looking for more health education. With both a desktop and mobile version, this app is a very useful way to improve your knowledge of health sciences. Each part of the body comes with detailed descriptions and scientific terminology for any level of learning. For more information, visit pocketanatomy.com or download the app on iTunes. The Orca Health App gives a combination of a detailed interactive anatomy map, with descriptions and imagery, along with therapeutic exercises to accompany each portion of the body. In what seems to be a one-stop shop, Orca Health allows clinicians to give the full range of health education to their clients and ensure they are understanding their home exercises. Exercises come with interactive videos, narration, and text instructions. For more information, visit orcahealth.com/orca-health-app or download the app on iTunes. Each bodily portion has an even wider library of content in the form of educational tools, videos, evidence-based treatment information, and more. This does tend to be a bit of an investment, as there is an individual purchase for each ‘decide’ tool you choose to utilize. However, this allows you to target the content you are buying toward your specific needs. Additionally, the musculoskeletal decide tends to be a bit of an ‘everything but the kitchen sink’ purchase, as this will cover most all muscles and basic joints of the body. For more information, visit orcahealth.com/orca-health-app or download the app on iTunes. Especially helpful for those with multiple medications or cognitive deficits of any kind, MediSafe is a good way to ensure peace of mind for those taking medications. Not only does MediSafe allow for a sense of independence in keeping individuals active in the management of their medications, but it also allows for accuracy and precision when completing this task the right way. This serves to relieve the stress of an individual with cognitive deficits and give their caregivers peace of mind for the well-being of their loved ones. This app gives medication reminders (requiring a check in once this is completed), side effect and interaction warnings. MediSafe sends an alert to caregivers when their loved one has missed a medication reminder, which immediately ensures safety. Other features include images allowing anyone to match the picture with the medication, and reminders when prescriptions are getting low and need to be refilled. Records can be sent to friends, family, or someone from your healthcare team to ensure support and compliance. The app also provides coupons and discounts on prescriptions at local pharmacies. For more information, visit medisafeapp.com or download the app on iTunes or Google Play. Brain health is a growing trend and apps to improve brain functions are on the rise. 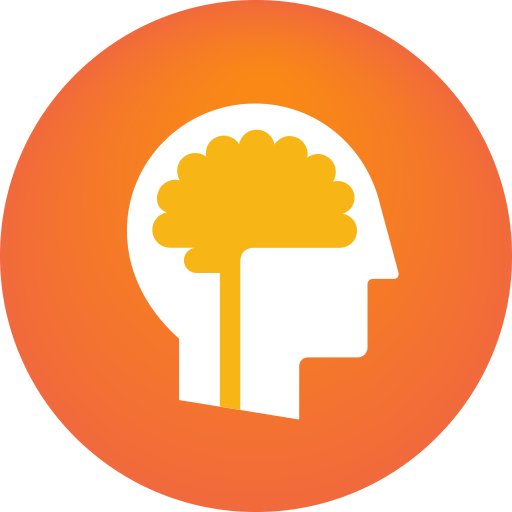 Lumosity provides quick games to test functions such as memory, speed, attention, organization, planning, and sequencing. Lumosity’s mission states they help “improve memory, increase focus, and find calm” These games are useful for anyone looking to keep their mind active or those wanting to help manage problems in the above-mentioned brain functions. From a therapist’s point of view, it is recommended that anyone with significant symptoms in these brain functions visits a therapist to get individualized therapy. 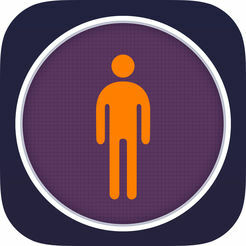 While this app is a good tool to use in conjunction with therapy of any kind, use of this app apart from any therapy will yield little results for those with cognitive and neurological disorders. It is important to engage in functional tasks which strengthen your brain functions to see improvement in any area. This app, however, does prove to be one of the more constructive game programs you can use while on your phone. Lumosity can be used on a desktop or as a mobile application. For more information, visit lumosity.com or download the app on iTunes or Google Play. BlueJay is a platform used for telemedicine, meaning healthcare practitioners can treat patients with all sorts of symptoms and diagnoses virtually, with each party being in their home locations. This is a revolutionary advance for healthcare and also comes with its corresponding mobile application for use by patients of telemedicine practitioners. This application has preloaded home exercises, health education tools, and other resources for clinicians to provide their patients with. After a session on this application, patients can receive these materials through email or through the application for daily use. Use within the application allows the practitioner to track patient compliance. For more information, visit bluejayhealth.com or download the app on iTunes or Google Play. Similar to other exercise applications explored, Physical Therapy for Kids provides child-friendly exercise instructions and activities for use within the home and the community. Exercises are generally used across all age groups, however, children may have more difficulty complying if they are not interested. Therefore, tailoring these exercises to animals, sports, special characters, jobs, or other terms familiar to children helps improve their engagement and progress. Accompanied by animations and visuals, children will have an easier time staying interested in therapy to strengthen their bodies and maintain their activity levels. This app can only be found on iTunes. This app is a good tool for those with fine motor difficulties. Commonly the smallest motion of the muscles, fine motor skills have an impact on functions such as manipulating zippers, buttons, snaps on clothing, cutting food, writing, typing, driving, pressing buttons in the kitchen, washing dishes, and more. Games and activities on this app are good to improve coordination and motor control of the hands after an injury or due to common conditions such as arthritis. Games are tailored toward both adults and children, making it useful for people of all ages. Included in the app is tracking to share progress with teachers, family, therapists, and more. This app can only be found on iTunes. As you can see, there is a range of apps to suit individuals with a variety of needs, spanning many diagnoses. Most of these apps are also useful for maintaining fitness and general health and wellness. Anyone questioning their need for these apps or which exercises would be best for them is advised to consult a physical or occupational therapist. If you don’t know which therapist would be best suited for your needs, check out our comprehensive guide on occupational therapy (physical therapy coming soon)! They can advise the best practice both for receiving therapy and completing home exercise programs. What is your favorite rehabilitation app? Share your thoughts in the comments below!